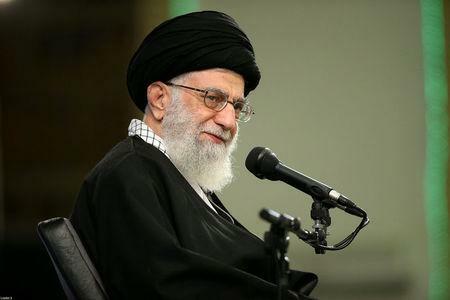 DUBAI (Reuters) - Ayatollah Ali Khamenei on Tuesday dismissed the U.S. decision to put Iran "on notice" over its missile tests and called President Donald Trump the "real face" of American corruption. A U.N. Security Council resolution underpinning the nuclear deal urges Iran to refrain from testing missiles designed to be able to carry nuclear warheads, but imposes no obligation. Iran agreed to curb its nuclear program in exchange for relief from some U.S., European and U.N. economic sanctions. Critics of Iran said the deal emboldened it to increase its involvement in wars in Arab countries, something Tehran denies. Labels: American Corruption, Ayatollah Ali Khamenei, iran, Missile Tests, President Trump, RonDoids.com, U.S.